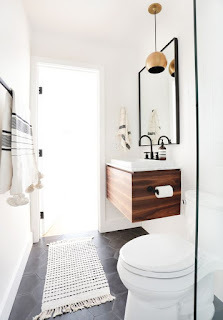 We have not one but TWO bathroom renos planned for next month. That's the plan, anyway. I'm having friends over at the end of April and we figured, nothing like a deadline! 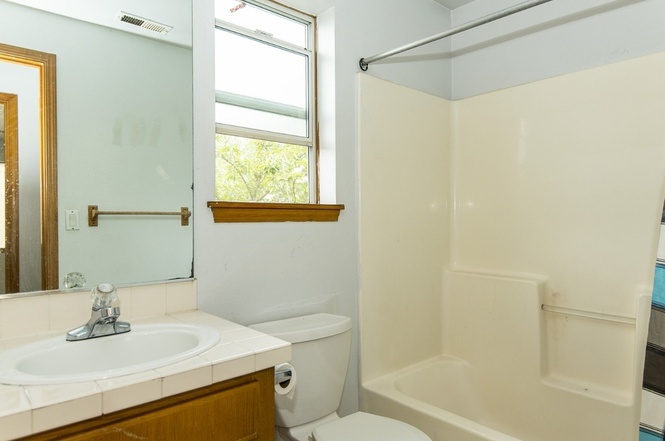 Why not try to get the bathrooms friends might use at least functioning with new toilets, vanities, flooring, and paint?! So we are making a LOT of design decisions right now and I'm seriously torn on the style we want to go with. 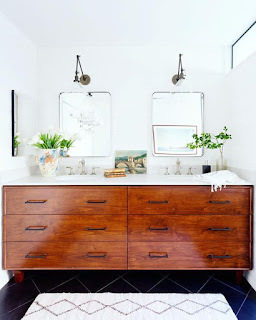 One thing I've realized in this whole process (we have three bathrooms to redo) is that bathroom vanities are expensive. And the ones at the big box stores are not usually that attractive. 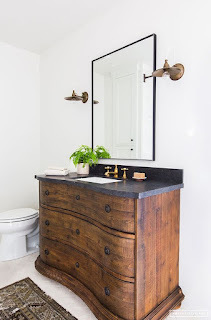 For our master we want a 70" wide one so will probably do something custom, but for the guest bath and powder room which we'll be doing in April, we need 36-40" and 24" vanities and budget, timing, appearance, and storage are all key priorities. 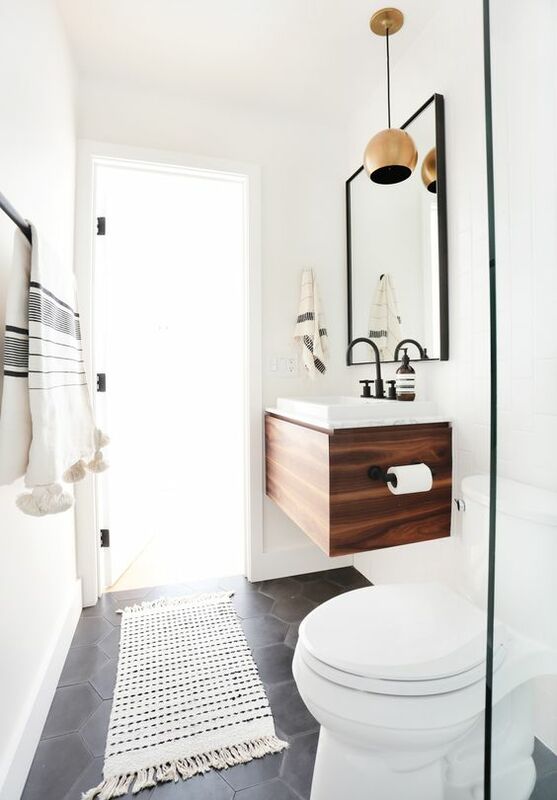 The biggest design challenge so far is the guest bathroom. A while ago I came across this beautiful bathroom with a vintage tiger oak dresser transformed into a vanity and was totally moved. It's so lovely! Clean and fresh but with that incredible old piece giving so much character. I recently found this one in a similar vein. 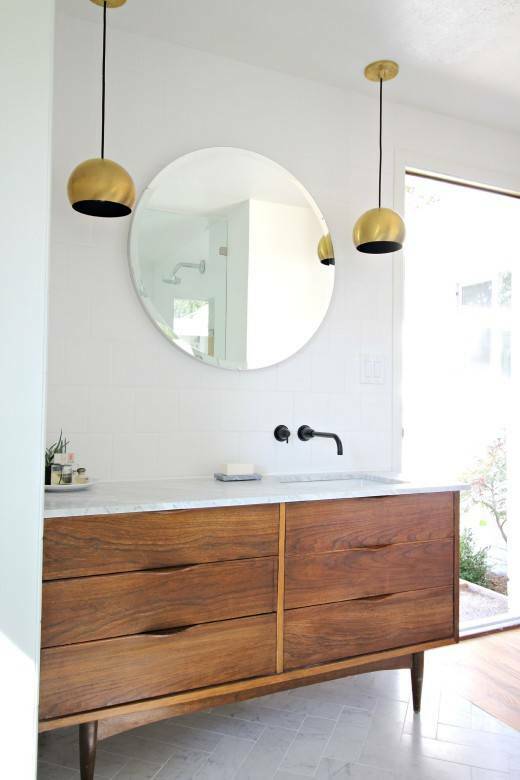 It was in this fabulous modern home makeover. 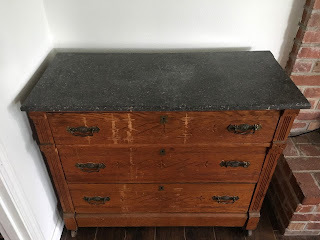 I even found this antique dresser on Craiglist that already had a black granite top! I bought it for $40 and bought a brushed brass faucet and drain stop, and planned to buy a smallish vessel sink to sit on top like in the first image. However... a couple things stand in my way. We will have to drill through granite. Just two holes, and I know it can be done, but still. We will have to re-build the drawers around the plumbing. I've seen tutorials, but it's definitely a bit of work. There is a crack in the granite. It has been mended well but I'd like to reinforce it when putting a sink and holes in the center of it, and am not sure how. Design. 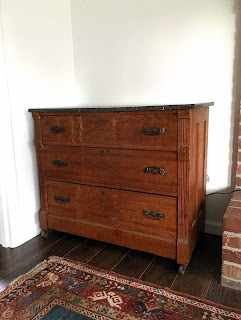 I like the antique look, but the rest of our house is pretty modern and basic, and this kind of piece might stand out. So I'm reconsidering. I thought back to other favorite bathrooms I've seen lately. 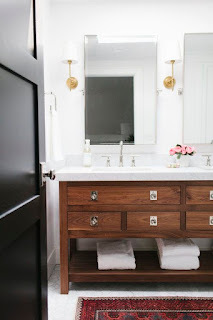 Jason and I both LOVE the look of this modern bathroom with homemade vanity, but we know we'll need want more storage for future users of the guest bathroom. Here are two other very cool bathrooms with dark tile floors and wood (floating) vanities. 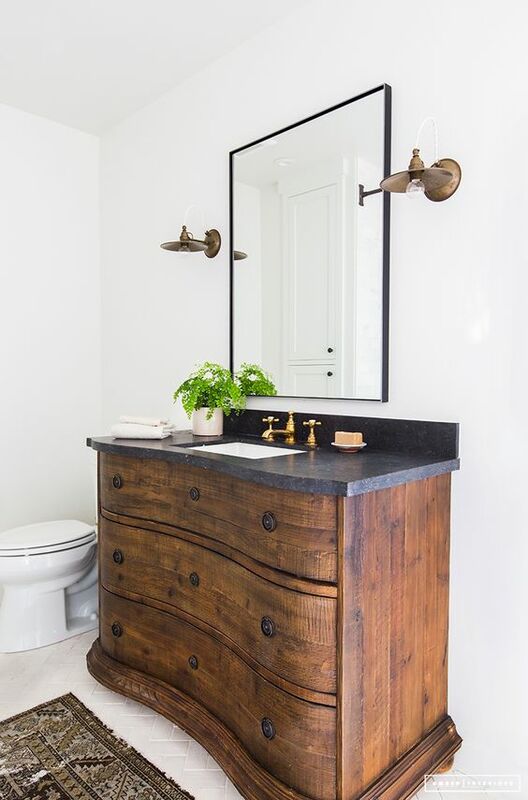 That second one looks like a vintage dresser but is actually custom cabinetry. Yum. 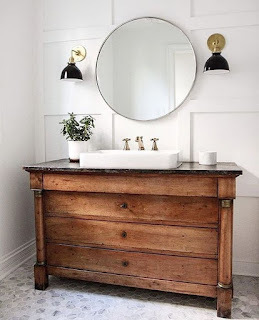 I really like the vintage dresser-as-vanity look, but Jason doesn't as much, and it will present some of the same problems as the antique one we already own! Another thing a lot of those bathrooms have in common? 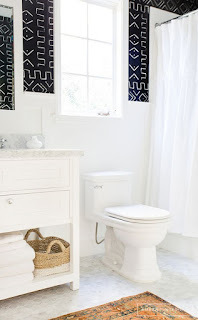 Marble or marble look patterned tile floors. 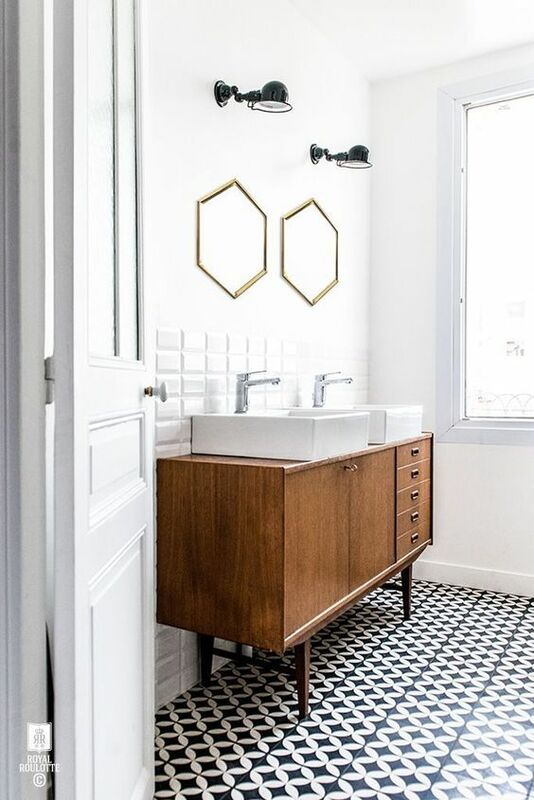 Lots of hexagons. We are definitely considering that at the least! Okay, but back to reality... those wood vanities are not off-the-rack and I seriously doubt I'll find something similar secondhand! 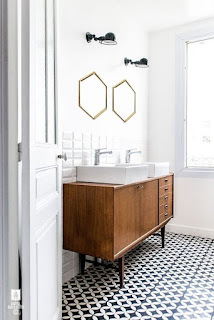 So maybe we'll end up with a basic IKEA Hemnes vanity in white or grey, or something white like this. Then I think the struggle will be how to give the room character and complexity despite the more common, standard white-on-white. 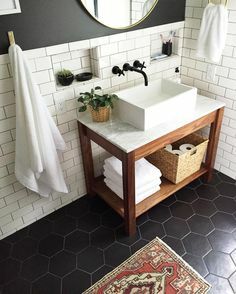 Antique rugs help, I guess, but how practical are those in a bathroom? ;) We also have pretty much decided not to do wall tile in the guest bath. So what do you think? 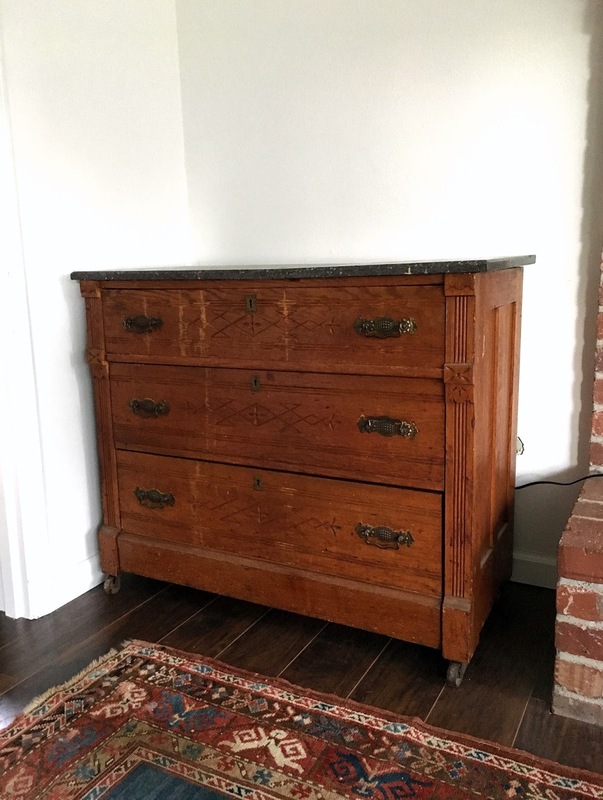 Is our house too modern/plain for an antique vanity, and is it too much trouble to retrofit a dresser? Should we go the IKEA or Home Depot route, and if so how do we add personality? See all of my bathroom design inspirations on this pinboard! By the way--here is the bathroom in question in the listing photo! Ugh!